Pictured in Cherry with our Sangria finish, the Fairmount Heights Mule Chest is available for purchase in any offered wood and stain combination. A grandiose addition to your Queen Anne inspired master suite, the Fairmount Heights Mule Chest offers a plethora of enclosed storage options. A two piece unit, the upper cabinets open to reveal wooden adjustable shelving. In the high dresser base, soft close slides allow the drawers of our Fairmount Heights Mule Chest to extend fully and close quietly. 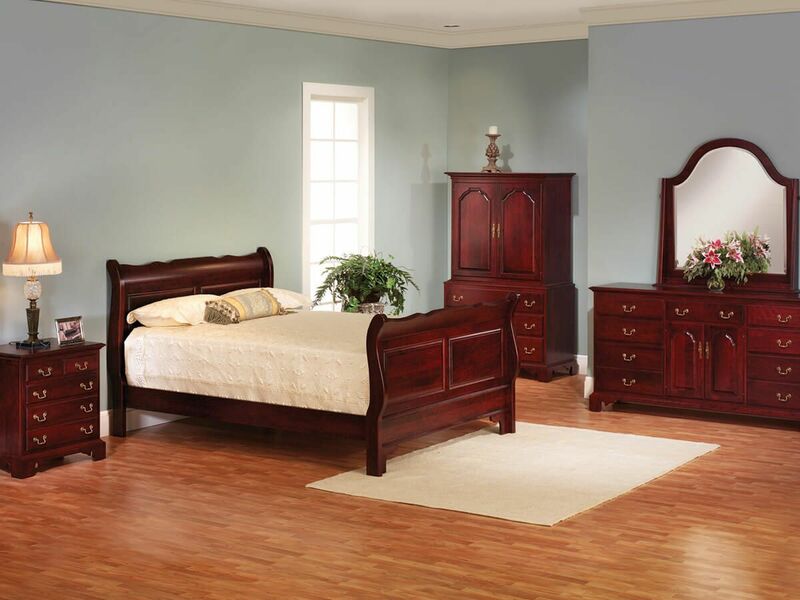 Solid wood construction combines with mortise and tenon joinery to ensure the durability and integrity of your bedroom armoire. 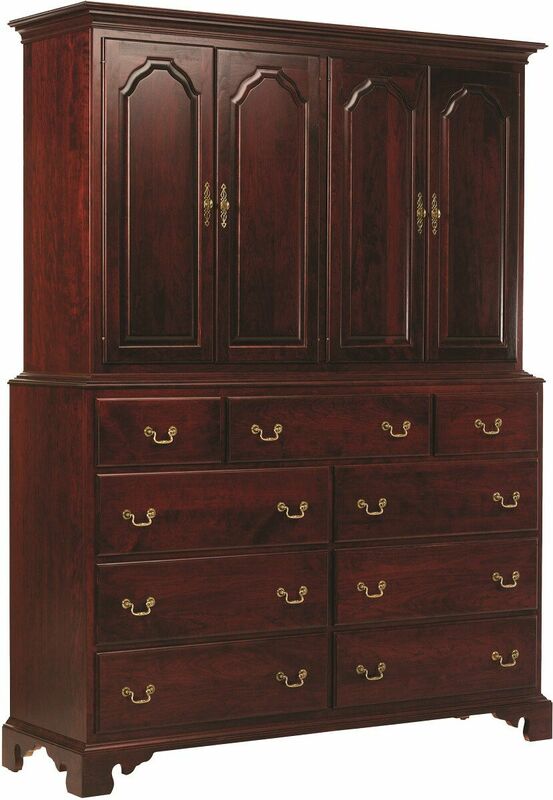 Indicate preferred specifications for the Fairmount Heights Mule Chest Armoire using the options menu provided. 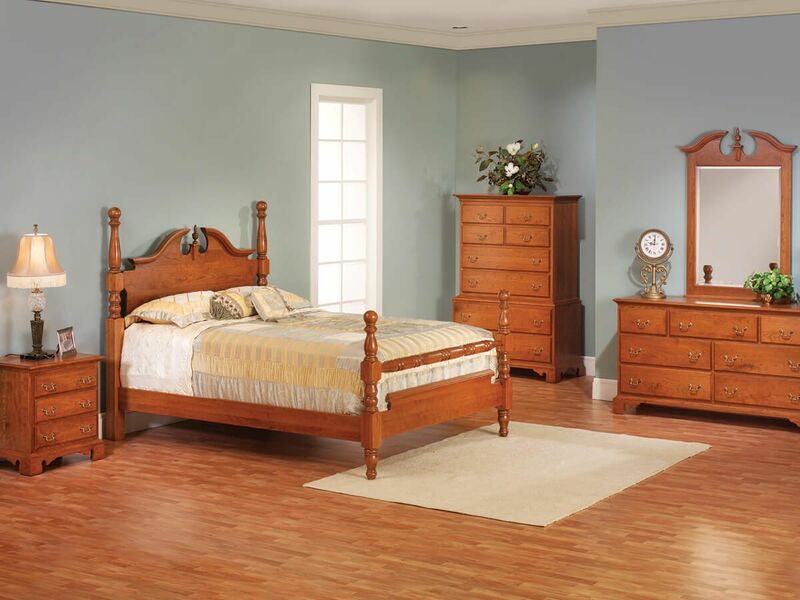 No matter the look you choose, our Amish artisans will build your mule chest to order.